Routine waxing helps to slow the regrowth of the hair and, therefore, reduces the chance of ingrown hairs, as the hairs are removed from the root each time wax is performed. Ingrown hairs can result when the hair does not break the surface of the skin and curls under or grows sideways under the skin. They normally cause irritation to the skin and a red bump will occur. Often in the winter months, clients will shave in between waxing as a quick way to remove the hair. The challenge is that shaving will cause the hair shafts to be weak and more likely to cause ingrown hairs under the skin as they grow out. Educate clients on the benefits of coming in for a wax versus shaving. Keeping up with clients’ waxing routine will help keep their skin soft and free of ingrown hairs. Winter promotions are a great way to target vacationers and to keep clients loyal and coming back through the offseason. Holidays are a busy time for people. Offering promotions, such as bundling a wax with a manicure or pedicure at a discounted price, will help to boost sales. Additionally, offering promotions on retail products that complement the waxing services are a great way to ensure clients are performing the correct aftercare between waxes, such as exfoliating and moisturizing. In the winter months, skin can get especially dry. Encouraging clients to exfoliate properly and keep their skin moisturized will improve their experience, as well as their results. Retail products are also an effective way to increase overall sales at the spa. 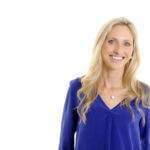 Lindsay Miller is the president of LYCON Wax North America. Having first discovered LYCON wax in the United Kingdom 10 years ago, she has dedicated her time to growing the brand across North America, including introducing LYCON to Canada. Training and product quality is extremely important to Miller and she prides herself on building a strong team around her that can offer the best customer experience possible. LYCON continues to be a market leader in hair removal wax and is used in top spas and salons around the world. This entry was posted in Bay Area Estheticians, California Estheticians, Esthetics, Lycon, Lycon Waxing, News, Skin Care, Skin Care Tips, Skin Inc, Waxing, Waxing Tips. Bookmark the permalink.